#1 NEW YORK TIMES BESTSELLER - LONGLISTED FOR THE MAN BOOKER PRIZE - A simple hospital visit becomes a portal to the tender relationship between mother and daughter in this extraordinary novel by the Pulitzer Prize-winning author of Olive Kitteridge and The Burgess Boys. Look for Elizabeth Strout's highly anticipated new work of fiction, Anything Is Possible, which is available for pre-order now. Elizabeth Strout is the Pulitzer Prize-winning author of Olive Kitteridge, as well as The Burgess Boys, a New York Times bestseller; Abide with Me, a national bestseller and Book Sense pick; and Amy and Isabelle, which won the Los Angeles Times Art Seidenbaum Award for First Fiction and the Chicago Tribune Heartland Prize. She has also been a finalist for the PEN/Faulkner Award and the Orange Prize in England. Her short stories have been published in a number of magazines, including The New Yorker and O: The Oprah Magazine. 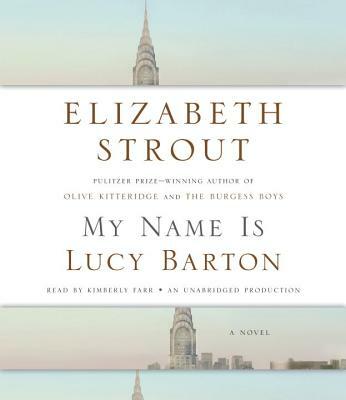 Elizabeth Strout lives in New York City.